Is the cap applicable only to a deceased breadwinner’s income or to the income of the household? In explaining the above we will make use of the following example: A man dies in a motor vehicle collision, at the time of his death he was earning R 200 000.00 per annum, he leaves behind a wife and two children. The wife also earns R 200 000.00 per annum at all relevant times. The immediate question that comes to mind is do I cap their respective earnings separately or combined? However the above reasoning is not in keeping with the aim of the amendment act cap. The important thing to remember is that the cap applies to the loss in future years and not to income as implied by the above reasoning. Therefore, one will do the calculation as normal by determining the combined household income and distributing shares to the deceased and claimants/dependents in line with Santam v Fourie. Using our example the combined income of R 400 000.00 per annum will be divided into six shares with two shares each allocated to the deceased and surviving spouse and one share each to the dependent children. The value that is then subject to the cap would be the combined sum of the 4 shares of the surviving spouse and two dependent children. Again allowance has to be made for tax, mortality and discount rate. calculations. The training is aimed at attorneys in order to equip them to give better instructions, have a better understanding of the actuarial calculation process and to aid in settlement of matters. The plaintiff claimed damages from the defendant arising from bodily injuries she sustained in a motor vehicle collision on 8 January 2005. The plaintiff was a cyclist on the Kliprivier Road when the insured vehicle, travelling in the same direction, collided with her from the rear. 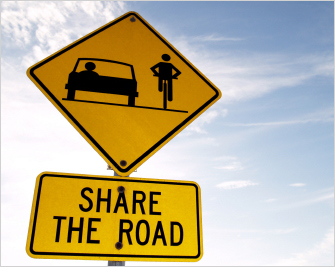 The collision caused her to fall from the bicycle and she sustained a head injury as well as orthopaedic injuries. Both the merits and certain heads of quantum were in dispute. The Court found in favor of the plaintiff in regards to the merits. The plaintiff’s past hospital and medical expenses as well as future medical expenses was settled. The court had to assess the plaintiff’s loss of earning capacity and general damages. It was common cause that the plaintiff suffered a head injury. What remained to be considered were the psychological sequelae of the brain injury. The plaintiff’s psychiatrist testified that the head injury had resulted in a post-traumatic neuropsychological disorder, as well as depression. The crucial issue in quantifying the plaintiff’s damages for loss of income was to consider the effects of the psychological deficits on her employability and therefore earning capacity. Pre-morbid she excelled in the workplace and moreover fostered excellent relationships. Outside the workplace she proved her organisational capabilities in organising her own cycling events attracting some 2500 participants. Post-collision the plaintiff remained in the employ of her employer but her capabilities dwindled resulting from her neuropsychological profile. Briefly stated, she lacked motivation and drive and often became emotional and irritable, resulting in a decline in performance and resultant loss of income to her employer. It was common cause that depression manifested itself once prior to the collision. In addition a family history of depression had been identified. However, since the collision she often suffered from bouts of depression. In this regard the plaintiff’s psychiatrist testified that the plaintiff, prior to the collision, was pre-disposed to developing depression which could be treated and, in any event, did not cause any level of dysfunction. In contradistinction hereto, the depression the plaintiff now suffers is as a result of organic injury to the brain cells. The depression the plaintiff now has to endure affects her coping and adaptation skills. The depression can be treated but not cured and she will therefore function at a lower level. In addition the plaintiff also suffers from cognitive deficits post-morbid. A comparison by the plaintiff’s Industrial Psychologist between the plaintiff’s performance and that of her rival co-employee revealed that Pre-collision, the plaintiff out-performed her rival but postcollision the plaintiff brought in less than half the business her rival did. As a result two possibilities was advanced by the plaintiff’s Industrial Psychologists: either that she remains employed at her present place of employment earning substantially less or employment in a less stressful and demanding work environment in a secretarial environment. The defendant’s Industrial Psychologist’s opposing view was disregarded by the court. Plaintiff suggested a contingency allowance of 10% pre-morbid, and 20% post-morbid. The defendant contended for a contingency allowance of 50%. The Honourable Judge held that a contingency deduction of 15% on the pre-morbid scenario is appropriate taking into account plaintiff’s age of 46 years, her consistent and stable employment history in public relations/marketing, the absence of any indications that she would not have further excelled in her work environment and the positive attitude she had displayed towards her work prior to the accident. The Honourable Judge further held that a contingency deduction of 10% on the post-morbid scenario is appropriate taking into account the plaintiff’s current employer although aware of her condition since 2005, has kept her on and increased her salary from time to time; the plaintiff has no formal qualification; the plaintiff’s husband’s evidence that she was steadily improving and the negative effects a lower category employment is likely to have on her mood and therefore functioning. Referring to the judgment of the Supreme Court of Appeal in De Jongh v Du Pisani NO  All SA 565 (SCA) the Honourable Judge further held that the sum of R400 000 would constitute fair and adequate compensation in respect of the plaintiff’s general damages. The plaintiff was awarded R3 333 068.00 for future loss of income and general damages of R 400 000.00 as well as Costs. Welcome to the fifth edition of Independent Actuarial Consultant’s (IAC) monthly newsletter. Via this newsletter we will keep you updated of all the latest case law relating to motor vehicle accidents and the quantification of damages relating to personal injury claims. We will also keep you updated of IAC developments, events and training seminars and lighten up your day with a joke or inspirational quote. Siyanda Ngquba- BSc. (Mathematics and Statistics) currently doing honours in BSc. (Computational Finance). We also wish to inform you that Mr Johan Olivier, the head of our MVA department, has decided to bid IAC farewell after seven years of dedicated service. We wish Johan well with his future endeavors. We are proud to announce that due to the depth of actuarial professionals at IAC we were able to fill the position from within our own ranks. 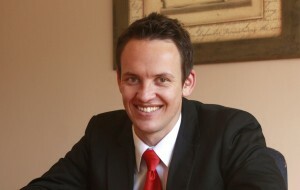 Mr Wim Loots will be taking over as head of the MVA department from 2 November 2009. University (RAU). He is a fellow of the institute of actuaries in England and a fellow of the actuarial society of South-Africa. Wim we wish you Danai, Maureen and Siyanda well and look forward to working with you. These are exciting times full of promise and we are proud to share them with you our valued clients. first collision, and the second collision was a direct consequence of the first collision; alternatively, (2) causing their vehicles to be and remain, a hazardous and unlighted obstruction on the roadway. The court a quo invoked the res ipsa loquitor maxim and found the drivers of the insured vehicles had been negligent in causing the first collision. For the sake of clarity the learned Jones J included the following extracts from W E Cooper’s Motor Law vol 2 “Principles of Liability” (Juta, 1987) which I repeat: ‘It is said res ipsa loquitor when: “… human experience shows us that in certain circumstances it is most improbable that the occurrence under investigation would have taken place without negligence.” ’ Mr Cole who appeared for the plaintiff in the trial and subsequent appeal based his argument on the fact that two vehicles collided on a wide, tarred national road in circumstances where the road surface was good and the weather fair, which gives rise to the inference that one of them must have deviated from its path of travel into that of the other. He also submitted that generally a roadworthy vehicle under the control of a skillful driver will behave in a manner consonant with the basic traffic rules (Macleod v Rens 1997 (3) SA 1039 (E) ). His suggested conclusion was that the occurrence of the first collision was such that res ipsa loquitor. The court held that Mr Cole makes the mistake of seeking to infer negligence by reason of the maxim from an occurrence which’s nature does not make a conclusion of negligence inevitable. Following Mr Cole’s reasoning a claimant in a damages claim following any road accident would be able to rely on evidence of a collision without more for an inference of negligence in his favour, making the maxim of general application to road accident cases, and a nonsense of the rule that the onus is on the claimant to prove his case. The court rejected the conclusion. As to the second averment, namely that they caused their vehicles to be and remain, a hazardous and unlighted obstruction on the roadway, these averments makes out a case based squarely on the presence of a dangerous hazard in the road. The plaintiff proved that case. His evidence established that as he drove round the bend he was suddenly confronted with an unlighted vehicle in his path making it impossible to avoid a collision. In the court’s opinion this was clearly an occurrence of which can be said res ipsa loquitor. The evidence of the occurrence raises a prima facie inference of negligence on the part of the person in control of the stationary vehicle with which he collided. According to the court it is then up to the fund to explain how the obstruction got there, what was it doing there and why it was still there when he arrived. If no explanation is given then it compels an inference of negligence. The court held, on the alternative, that a prima facie inference of negligence arose res ipsa loquitor, (a) from causing such an obstacle to be in the middle of the road at night, and (b) from allowing it to remain there. There was nothing at all before the court to displace the inference of negligence from (a), and insufficient information to displace the inference from (b).